Please scroll down to view colors. 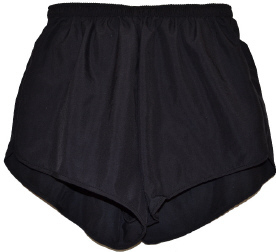 with triple back cargo pockets. 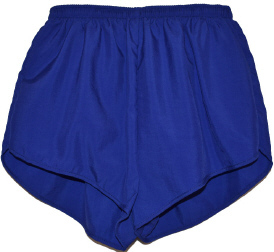 and popular Flag Shorts. Made in the USA. 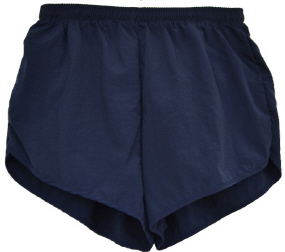 Our Supplex® running short has a cottony soft outer shell with a drawcord in the waistband and has a lightweight moisture wicking built-in brief liner aned large inner key pocket. 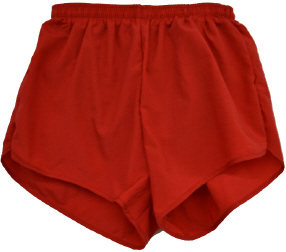 This running short comes in three comfortable styles. 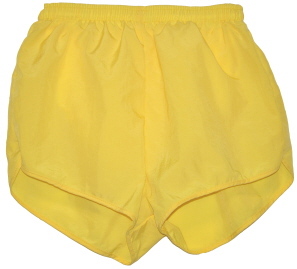 The 3/4 split short is open at side with an overlap allowing maximum freedom of movement with a 2" inseam. 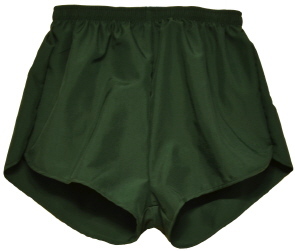 The nonsplit has a side seam and is curved at bottom providing a little more coverage and also has a 2" inseam. 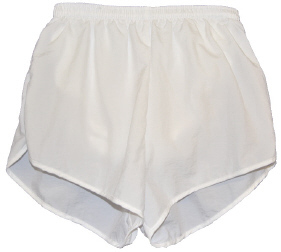 The longer boxer cut has 3" inseam and longer outseam with even more coverage. 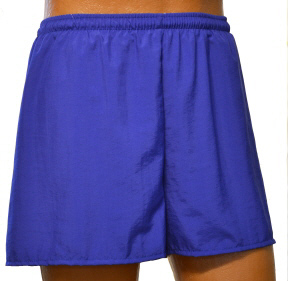 Our most popular running short is great for track teams with many sport colors. 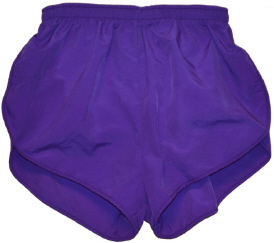 The body is supplex nylon that feels like cotton. 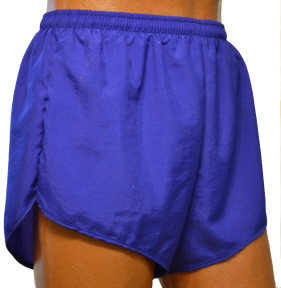 These durable shorts will keep you cool and dry, have a comfortable fit and feel while running a marathon or on your every day workout.. 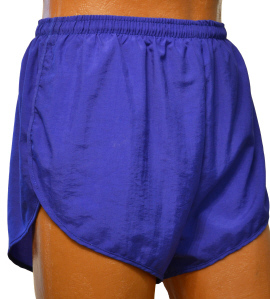 Since the mid-eighties, when we were making tricot running shorts, fabric technology has given us the ability to provide incredible comfort and superior quick-drying quality. 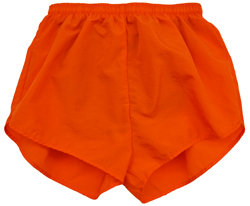 The most popular material for running shorts is supplex nylon that feels similar to soft cotton, but is much more lightweight, wind resistant and dry. Click above to see individual colors, then hit back button to return.